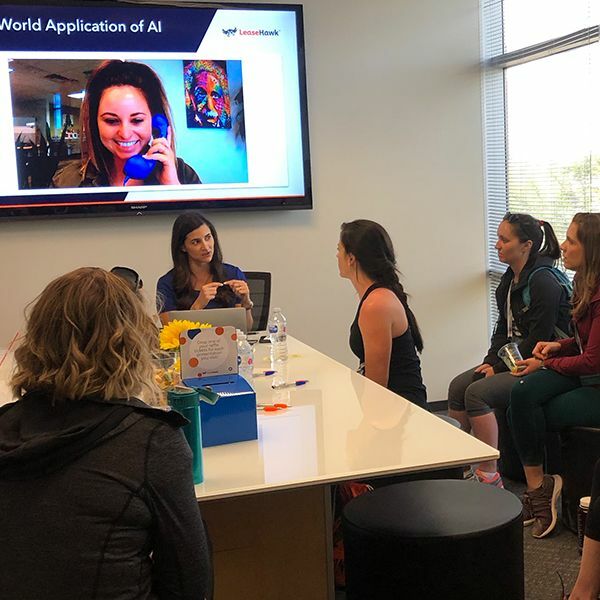 LeaseHawk was host to dozens of multifamily professionals presenting three tech talks as part of the first annual Multifamily Leadership Women’s Summit 2019. LeaseHawk welcomed nearly sixty multifamily leaders as part of the first annual Multifamily Women’s Summit. 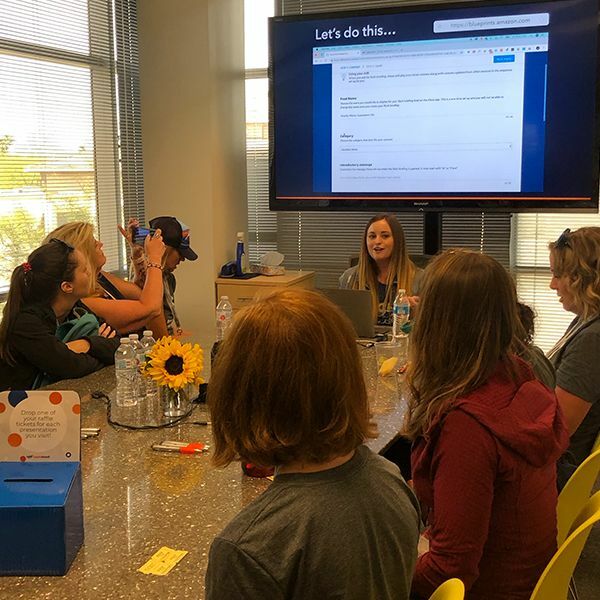 Their visit to LeaseHawk in Scottsdale, Arizona was part of the larger conference featuring leading experts from inside and outside the apartment industry, focused on serving women who want to strengthen their network, expertise and influence. Attendees experienced three mini-sessions focused on trending technology in the multifamily industry during the visit. 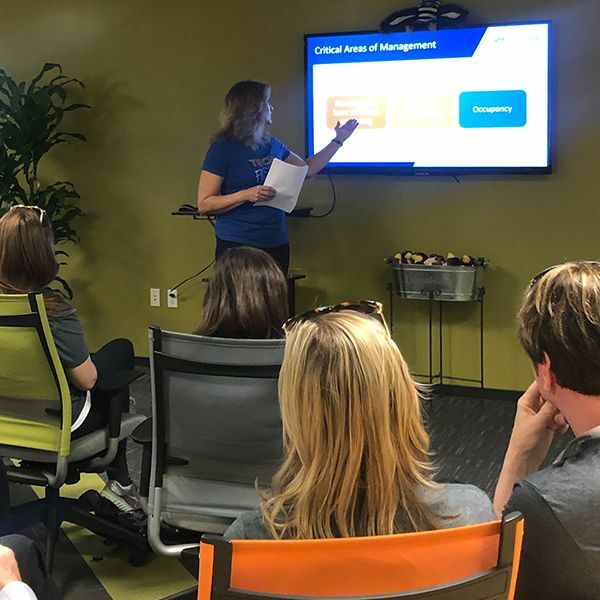 The talks were all designed to help attendees understand how to think about technology, determine what to innovate, and build confidence in managing the future of business technologies. Not to worry if you missed out on this year’s summit, check out three takeaways from each tech talk below. Be sure to check out Multifamily Women™ for more information on the summit and to reserve your spot for next year’s conference. Don’t let data overwhelm you—set your goals and define your metrics. Use BI (Business Intelligence) to harness your data and transform it into an understandable and actionable message you can use. Property managers can leverage voice assistants, like Alexa, to attract and retain residents by developing Alexa Skills. Building an Alexa Skill is easier than you may think with Amazon Alexa Skill Blueprints—check it out here. Putting AI (Artificial Intelligence) to use can mean increasing your accuracy and speed while saving money. AI applications for multifamily are quickly emerging and owners have the opportunity to be among the first to leverage AI and create an improved leasing experience. If you didn't get a chance to attend the 2018 NMHC OPTECH Conference & Exposition, don't fear! We've compiled three of the top tech trends discussed at the conference that are sure to affect the future of multifamily. The NMHC OPTECH Conference and Exposition, November 14 – 16, is one of the industry’s leading multifamily conferences. With these tips and must-do activities, be prepared for an insightful and informative conference.